Made with a lightweight and hard wearing Matrix™ softshell the Votive Jacket combines wind resistance and breathability. Articulated pre-curved sleeves are designed for active use, while two-way stretch nylon ensures freedom of movement. With taped seams for low bulk and comfort, the Votive is supple and highly durable. Pit zips aid ventilation during high output activity, while anti-snag hook and loop cuff adjustments ensure a good fit. Technical features include a helmet-compatible hood with wire peak and roll-away tab. A two-way opening front zip is ideal for belaying, with baffle and roll over chin guard for added comfort. Two zipped A-line hand pockets are easily accessible when wearing a harness. 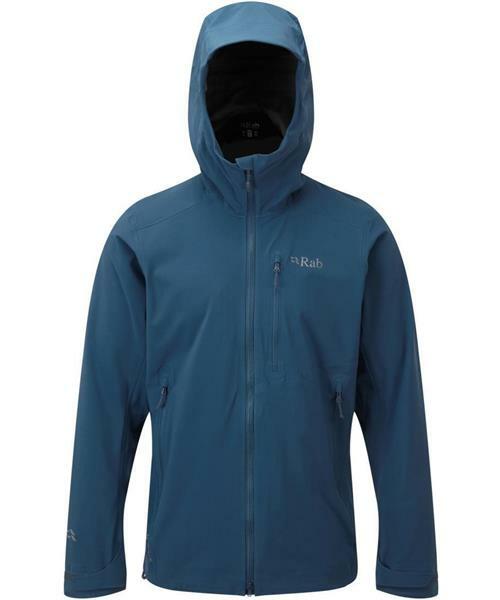 With a zipped chest pocket and a zipped internal security pocket to keep the essentials safe, the Votive Jacket is an ideal softshell for active alpine and mountain adventures such as ski mountaineering or winter climbing.